I had a funny moment this morning. You all know I work for BAE Systems, and love my public relations job for the company. Part of PR in the year of our Lord 2012 is social media, and because I was already tweeting and facebooking long before my company made it an imperative, I’m often asked to provide messages for these mediums. This week, I was in Austin, Texas lending a hand with media for a facility opening there. In addition to escorting reporters, I snapped iPhone pics and tweeted them, so that my corporate comrades could retweet them via the company’s official handle. All of this led to this morning’s funny moment, which was opening up the daily social media report from our parent company and reading, “News that BAE Systems has completed and opened a new manufacturing centre in Austin, Texas is widely shared. BAE Systems links to a Business Wire press release about the opening while other users link to reposts of the release. A food blogger tweets from the event, sharing photos of the ceremony.” Guess who the food blogger is, and do you know how funny that is to read about yourself? I love my life. Since I was in Austin, you know, I wanted to eat great food. Austin is one of those cool, unique places – like Ithaca or Seattle – where most of the people who live there do so by their own choosing. You rarely meet an Austin native – everyone seems to have chosen Austin as the place they wanted to live. And why not? After my hectic day of air travel, I stepped off the plane and heard live country music right in the airport. This is a special place, and the food, vibrant Mexican, BBQ and eclectic Southern-tinged American comfort food, reflects a people very comfortable in their own skins and in their cuisine. 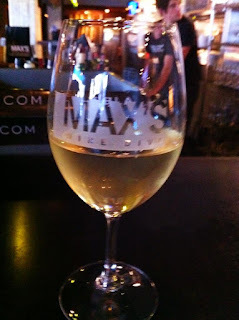 From Big Hungry Jill’s sister Alison, I learned that just a mere block from my downtown hotel was a magical enclave called Max’s Wine Dive. After checking in, I was blissed out to step outside in the sunshine and stroll around the neighborhood, finally entering this eclectic shabby southern comfort space. I sat at the bar, intending to have one glass of wine and an appy before grabbing sushi from the joint next door and going back to the room to work. 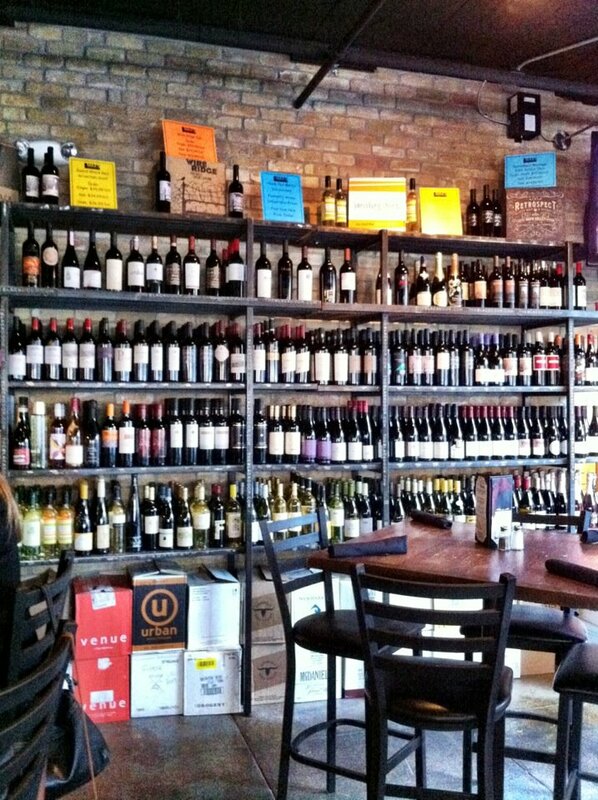 They really do grab bottles from this wall; I saw Matt do it! 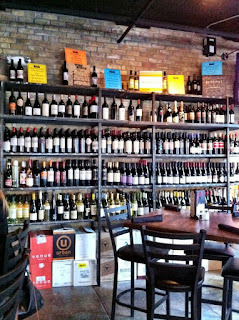 Instead, I stayed for three appys, which equaled dinner, and three glasses of wine poured by friendly, knowledgeable Matt. Ask for him when you go there. Yes, that IS Matt in the background. He was very attentive. 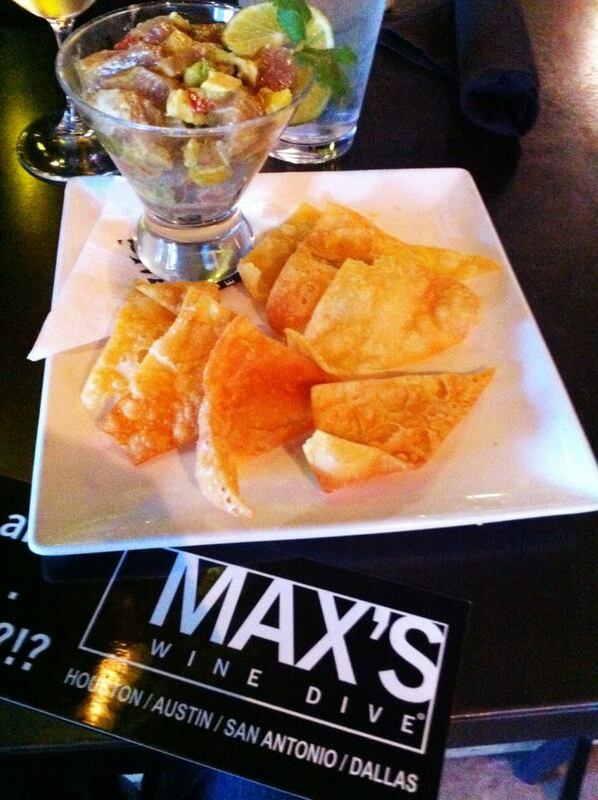 My first choice from the Max’s menu, keeping in mind my EatRightFitness plan, was the tuna ceviche with wonton chips. I hadn’t had a real lunch, so I was more than ready to dive into this treat of raw, fresh tuna mixed with avocado, mango, citrus and cilantro. This was less acidic and less Asian-inspired than most other tuna tartars I’ve had, and I loved it. The avocado lent silkiness and lushness to the dish, while the mango added just a hint of sweetness. The little wonton crisps were a wonderful, bland foil to the fatty lushness of the tuna and avocado. And no, I didn’t eat all of the wonton crisps, diet Nazis. Just most of them. I liked it so much, I asked Matt for the menu, and decided to order more from the funky, fun bill of fare. Meantime, I was ready for another glass of wine, and asked Matt what he liked lately off the white list. He steered me towards a chardonnay (usually not my first choice) from Amici Winery in California. 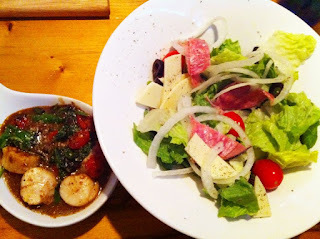 It was perfect with my next choices off the menu, buttery and well-matched with seafood. 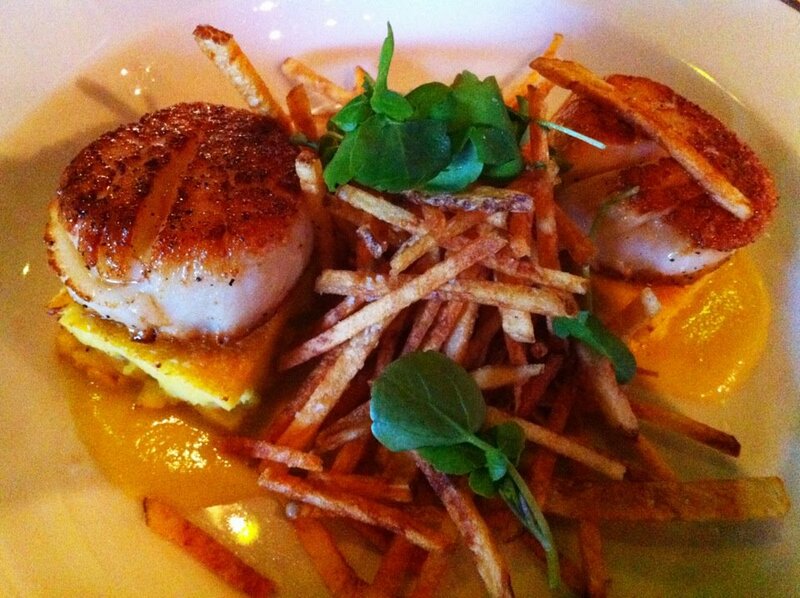 And that seafood was scallops, also recommended by Matt, plus fried green tomatoes. The two plump scallops, seared golden but just cooked through in the center, were seasoned better than any scallop I have ever had. I’m not sure what was on them besides salt and probably white pepper, but they were scrumptious. Each was perched upon a tiny square of corn pudding, which amounted to a flavor combining whole, fresh corn off the cob and creamed corn. You really tasted that wonderful corn “milk” that you only get when you cut it fresh from the cob. This dish was served with potato sticks that I didn’t eat – bikini season is coming – but I so enjoyed the buttery scallops with the sweet, silky pudding and oaky chardonnay. This was sublime. 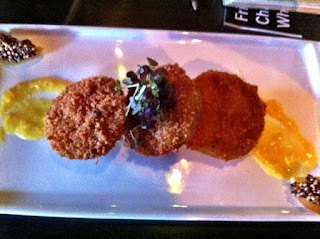 The fried green tomatoes were probably the least successful dish, not because there was anything wrong with them, but because they needed a little kick. When I make them at home, I usually serve them with a horseradish-infused mayo/ketchup/cayenne sauce for dipping, but this iteration paired them with a corn custard and mustard “caviar,” which was just mustard seeds macerated in a little vinegar. The tomatoes were still a little bitter (it’s early in the tomato season for sure), and the mustard caviar wasn’t zippy enough for me. That said, I love fried green tomatoes, and I always try to have them when I’m in the South. So this dish checked the box just fine. My entire meal at Max’s was a pleasure. From the t-shirts and bumper stickers reading, “Fried chicken and champagne?...Why the Hell not?,” to the casual interior and generous wine pours, this place is set up for a good time, much like the rest of Austin. So if you find yourself staying in Downtown Austin, forgo the Fogo de Chao, PF Chang’s and Melting Pot, and tuck into some fun grub at Max’s Wine Dive. I give it a seven on the BHS scale. When I return, you can bet I’ll be sampling the fried chicken, the ginormous fried egg sandwich with house-made bacon and black truffle aioli (I hate that word), and the duck and cracklins (groan). Lots of tasty plans afoot at BHS headquarters right now, my Big Hungries. I’m working on a new feature called The Blather, trying to hammer out a proposal with Dr. Gomez at EatRightFitness, and I made carrot cake oatmeal last night. I know! Yum! I also did some revisiting of Northcountry favorites over the weekend. I’m pleased to report that Wiseguys Pizza in Chaumont is still fabulous. My Dad ordered chicken parm for dinner, and we actually saw the cook pounding out the chicken breast in the kitchen by hand! We also hit up Koffee Kove in Clayton, and as ever, the coffee was delicious and the homemade whole wheat toast rocked my Sunday, and the corned beef and cabbage at Colemans in Watertown is top-notch. Of course, my meals at these places were conservative due to ongoing dietary extravaganzas. Our favorite waitress, Paula, at the Clubhouse Saturday morning looked at me very strangely when I asked for an over-easy egg on top of a bowl of oatmeal. Instead of chicken parm or pizza at Wiseguys, I had a scallop appetizer and a huge antipasto salad. And my corned beef and cabbage from Colemans is about to provide a third meal – the portion size was gargantuan. But I’m down seven pounds and feeling fine! My hunger is big, my personality is bigger! LOL, THIS is why I always insist on picking the dinner choice when I'm given the chance, Pav! But alas, we have Fratello's and Firefly for our upcoming visit to Manchester, NH. Thanks for the read, as ever! The ceviche looks divine. I love the food blogger intro story. Awesome! I grow fonder of ceviches and tartares with each passing year. Why is raw stuff so good?